This past weekend was our inter-batch mingle, an event put together at the start of every year to give new and “old” DRMCCA students a chance to get to know eachother, share advice and experiences regarding the first year of programme, and build personal and professional networks. 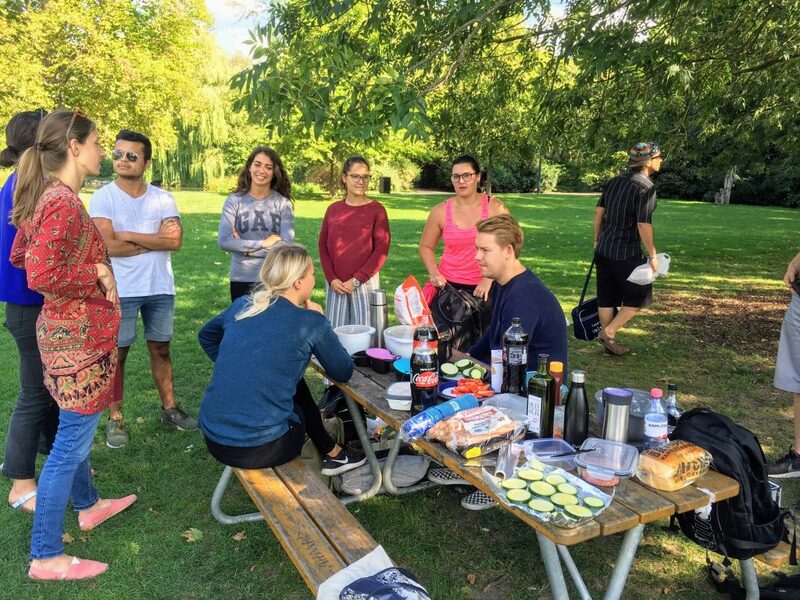 This year, newly arrived Batch 4 DRMCCA students got together with Batch 3 DRMCCA students for a BBQ potluck in Stadsparken. 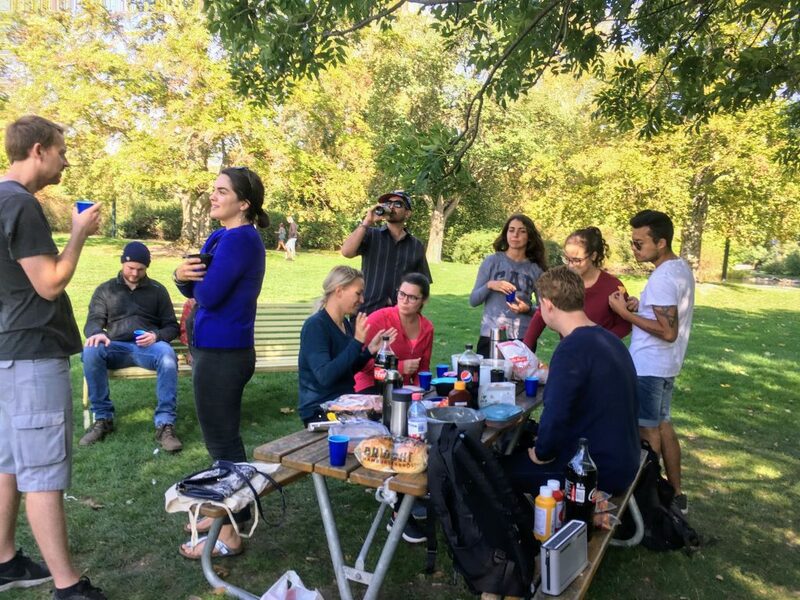 New and old batches will inevitably come together many other times throughout the year, whether for potlucks, parties, or other departmental events. This initial get together simply serves as a fun and relaxed introduction to get to know eachother. Many Batch 3 students are away during the autumn term on internship assignments all over the world, so we are fewer here on campus as compared to last year, when we all were studying through the same courses together. Many of us Batch 3 students are taking the on-campus GIS (Geographic Information Systems) course, while others are taking different elective courses, like Water Resources Engineering. 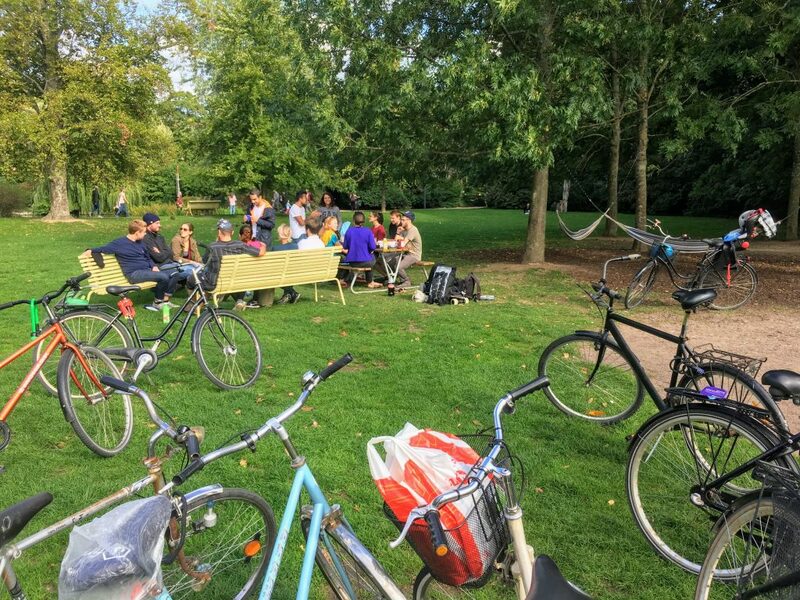 This entry was posted in Around campus, Student life, The city of Lund and tagged Autumn, downtown Lund, DRMCCA, fall, Lund, network, picnic, social life, socializing, stadsparken, Student life. Bookmark the permalink.